Thanks to the latest tools, we create closeness and proximity with target audiences. We humanize the communication of companies using state of the art technological advances. 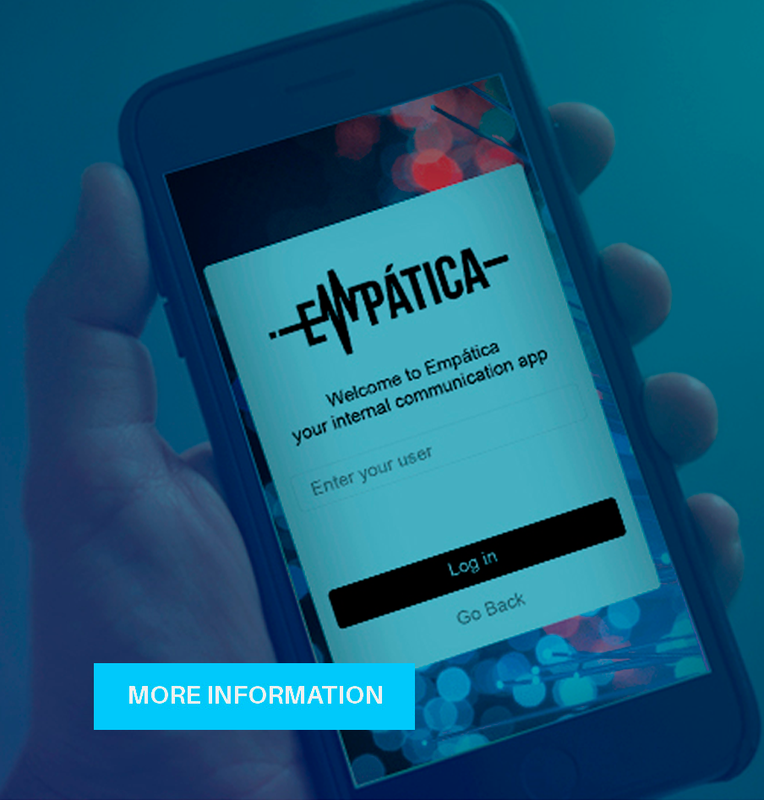 We have developed EMPATICA PLATFORM capable of making communication between companies, customers, employees, shareholders and other target audiences, more human. From customer first and relational marketing to E-commerce and communication everywhere. We implement from scratch web solutions caring for design and usability. Collaborative Intelligence for the co-creation of the Strategy, alignment and decision making. Ensures an homogeneous brand discourse cross stakeholder, cross channel and cross devices.